Following an upwardly revised increase of 15,300 jobs in January, California’sjob numbers showed an additional 22,900 new jobs in February, according to the latest statistics from the state Employment Development Department. Slowing job growth is expected at this point in the economic cycle, given that the state has essentially reached full employment. The year-over-year growth rate stands at 1.9 percent, higher than the overall national rate of 1.6 percent. Many national and state employment indicators point to the labor market being at full employment. 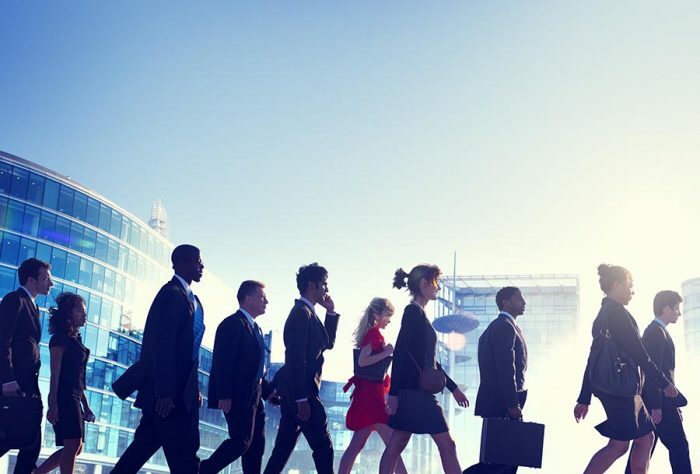 Earlier this month, the United States Department of Labor said that job openings increased to 5.6 million in January, with the largest gains in the professional and business services sector — 136,000 new positions. Federal government openings declined by 37,000 nationwide and by 1,500 in California in February, probably a reflection of different policy stances from the new administration. Job openings in the natural resources and mining sector are up 11 percent nationally on a three-month moving average basis, reflecting some recovery in the energy sector. In California, the mining and logging sector saw the largest relative decrease over the past year, down 11.2 percent. Similar to job openings, voluntary separations, which counts the number of people who quit their jobs, surged in January to a cycle high. Seven of California’s 11 industry sectors added a total of 30,800 jobs in February, with the trade, transportation, and utilities industry posting the largest increase, followed by leisure and hospitality. Gains in both sectors speak to strong consumer spending but also to the relative increase in lower-paying service sector jobs, which suggests lethargic wage growth in February. In the Bay Area, the monthly picture was mixed but showed positive signs, with San Francisco and San Mateo counties adding a combined 6,500 jobs in February. The San Jose metro area (Santa Clara and San Benito counties) added 2,000 jobs; the Santa Rosa region gained 2,500 jobs after a comparable loss last month; and the East Bay added 2,000 jobs. Seasonally adjusted numbers have, in contrast, shown some job losses in the Bay Area, particularly in Santa Clara County and the East Bay. However, the seasonal adjustment assumes the continued strong January-to-February monthly increases we have seen over the last three years. Going forward, monthly job growth will moderate as the entire region reaches full employment. Unemployment rates in the Bay Area and California fell again in February, to a respective 3.5 percent and 5.0 percent, due to job increases and the labor-force decrease. But wage growth and the pressure of the Bay Area’s high cost of living — particularly for young families — pose challenges. Recently released statistics from the United States Census Bureau show that Silicon Valley is losing increasingly more people due to out-migration, with international immigration filling the gap. However, the news in not good for the Bay Area, as other technology markets across the country, including Austin, Dallas, Denver, Raleigh, and Seattle, are seeing strong population increases from both domestic in-migration and international immigration.